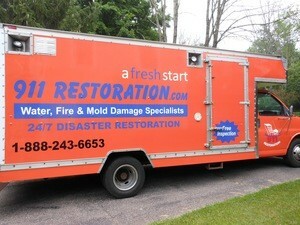 Disaster Restoration Virginia Beach FREE Inspection! When you need your property restored after a disaster, 911 Restoration Virginia Beach is the company that you can count on. Our disaster restoration Virginia Beach specialists are on call and available 24/7/365 to respond to any disaster day or night. We’re available year-round so we can provide you with assistance when you need it. When you need fire damage, storm damage, or flooding taken care of, our team can respond within 45 minutes of your call. Heavy rainfall and strong winds from hurricanes can harm your home in different ways. You can expect our team to be equipped with protective hazmat suits and industrial strength cleaning solutions that will make sure your home is decontaminated effectively. Instead of calling different companies to help you repair all the damage left by a storm, 911 Restoration will provide you with complete restoration services. Our licensed, insured, and bonded team will be using advanced equipment and techniques to repair all the affected sections of your home. Once a storm passes, you’re going to need a company like 911 Restoration to help you get through the aftermath. Our complete disaster restoration will take care of any damage your home may have sustained. To address storm damage, we will be making use of the state-of-the-art drying technology that will extract water and moisture from all affected areas. Our technicians can also get to hard to reach areas like crawlspaces and the area between the walls. One more issue that storms can cause is sewage backup. Heavy rainfall can also flood the sewers which can cause sewage water to backup into our home. 911 Restoration can also assist you when these situations occur. 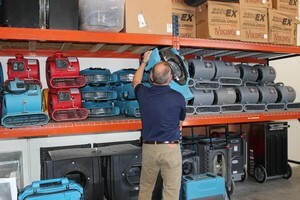 911 Restoration has got you covered when it comes to dealing with all the problems caused by disasters. With our quality restorations and repairs, you can expect your home to get back into shape in no time. When a disaster comes in the form of a roof leak, flood, pipe burst, fire, or sewage spill, 911 Restoration will be ready with the repairs and restorations your home needs. When you call us, you can expect a quick response, year-round availability, and quality restorations. We work with only your absolute satisfaction and convenience in mind. Our IICRC certified team will make sure that any disaster affected section of your home will look good as new through restorations. Furthermore, our team will assist you in filing your claim with your insurance company. With our complete disaster restoration services, 911 Restoration is the company that you can always rely on to give you a fresh start with any of your home or office restoration needs. 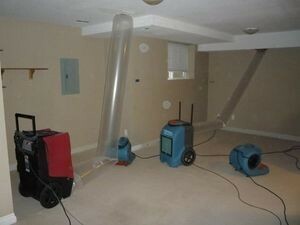 If your business or home is already awash in flood waters from a pipe burst or any other means, then contact our water damage Virginia Beach team with 911 Restoration Virginia Beach today!